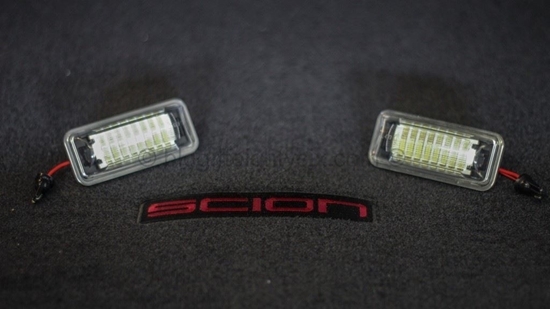 This kind of super bright high power LED License Plate Lights will directly replace the OEM license plate lights for the Toyota Scion and Subaru listed Below with no modification needed. This is complete Plug and play and takes about 10 minutes to do the full install. 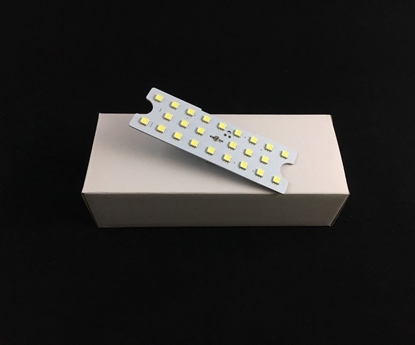 Each unit has 16 large LEDs built in and puts out 3X more might than the standard replacement bulbs. These lights are literally super bright, then even light the floor behind my bumper. Very easy to install just unscrew 5 bolts with a 8mm wrench and the trunk cover pops right off! Thanks Malen Merci and Thomas! Pretty easy to install. Taking the trunk garnish off takes about a minute. Then installing the lights is pretty much plug and play . 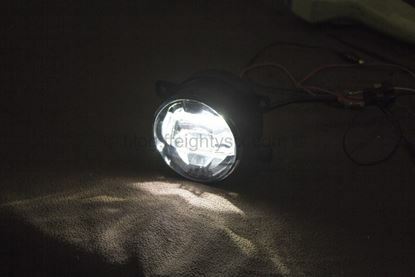 Although the connection is weird it connects by taking out the stock light bulb and plugging the new night into there. Never seen that before. Other than that the lights work very well. These lights are AMAZING! Bought a pair and installed them and I was shocked at how bright they look. Definitely makes the car stand out more. Easy install as well. One of the best mods to do for exterior lighting IMO and price is great. Love the bright white. Great lights and easy install. Pretty darn bright and makes your car stand out in the night! Great lights, really bright. Worth to buy. Got these to compliment my valenti tails and 4th brake light! The stock ones were yellow and dim and instead of just replacing the bulbs I found these with the housings! Easy install and now the rear end is all LED! Took longer than they should have to get here but that's good old USPS's fault, not 86speed's! I've gone thru about 4 pairs of LED bulbs for the license plate lights... They would always flicker. I decided to purchase this and replace the entire lighting unit. No flickering yet. These lights are very bright, white, and they help complete the look when the rest of your rear end is all LEDs. Install is pretty painless - remove a few bolts inside the trunk, unscrew old lights and then pull, and it’s a nice addition for the price. I’m glad I got them. White LED instead of yellow halogens. The car should have came this way from the factory. The connection wasn’t ‘plug and play’ hence 4 stars.